The immense talent that is Alan Weekes has been an important and influential part of the International and UK music stage since 1975, having been featured at some of the most prestigious festivals and concert venues worldwide. Born in East London and of Barbadian descent, Weekes grew up in the early eighties. He was involved with the evolving British reggae scene and played on numerous studio sessions - particularly in the emerging 'Lovers Rock' reggae scene. 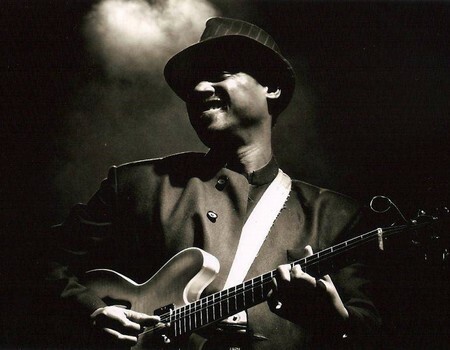 Known for his soulful rhythmic grooves and alluring solos in a variety of genres such as jazz, blues, reggae, ska, pop and opera, his talent has been in high demand for over three decades. With recent engagements at the world famous Ronnie Scotts Jazz Club, he is a real 'tour de force' in the jazz music scene.